Rose grew up between a fir forest and an oak savanna in a house her parents built outside of Corvallis, Oregon. A former Wildcraft intern with a background in educational nonprofits, she attended North House Folk School in Minnesota to study traditional northern crafts, including timber framing, chair making, greenwood carving, blacksmithing, basket weaving, and natural dyeing (to name a few). In 2018, she returned to the land where she was raised to revive her Dad’s wood shop and continue to carve, weave, sew, dye, and build. 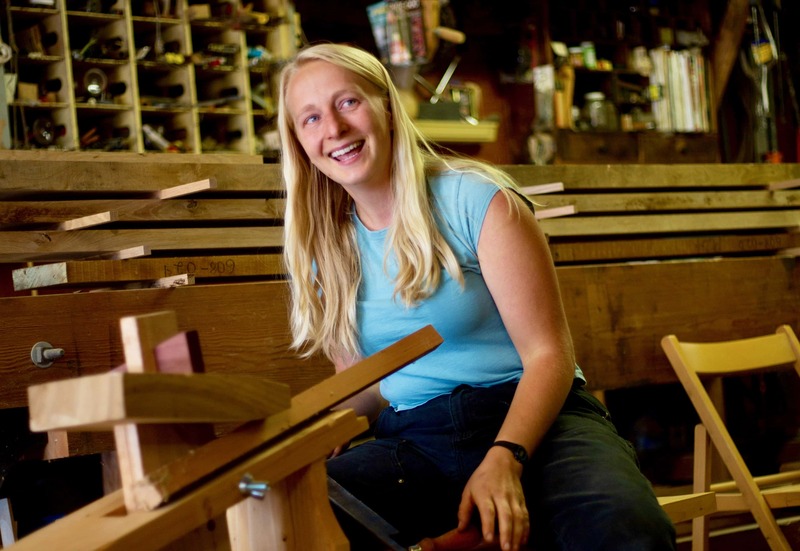 Rose teaches woodworking classes at Wildcraft Studio School, North House Folk School, the American Swedish Institute, and the Women’s Woodshop in Minneapolis, where she is a 2018 and 2019 Resident Artist. Whatever adventures may come, Rose hopes to always nurture our land and empower those who value it so we can have stronger relationships with the environment and each other.